Blue Blanket is Small Bunny’s best friend and perfect just the way it is. Why does his mother think it needs to be washed?! Small Bunny does everything with Blue Blanket. Blue Blanket helps him paint the best pictures, go the highest on the swings, and read the hardest words. They need each other. 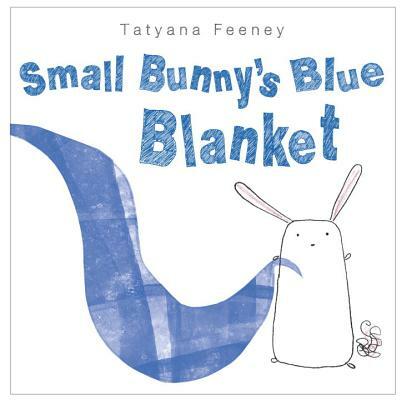 But one day, Small Bunny's mother insists Blue Blanket needs to be washed. She says Blue Blanket will be as good as new after. But Bunny isn't sure he likes new. Will his friend ever be the same? Originally from North Carolina, TATYANA FEENEY studied illustration at the North East Wales College of Art and Design, and now lives in Ireland.